Let me first start off explaining how overall I'm a type A personality. In fact I don't think anyone would describe me as calm or probably laid back. Also not the type of person that can just sit back especially when something needs to be done, I want to do it and get it out of the way rather than dwell on it. And dwell on it I will do, a worrier of sorts. When it comes to issues or problems I will stress over them until a resolution is reached. Lets just say I like finding solutions to things not letting them fester. The Nike slogan "just do it" sums up my philosophy well. ha I tend to be rather high energy, filled with a natural sort of adrenaline that at times can also be detrimental. For years I worked out to try to stay fit and release the adrenaline but it never seemed to work. I'm a very thin and fast workouts just didn't seem to agree with my body. That's when my doctor suggested yoga. She felt I needed something to calm my body, focus my mind and yet still allow me the healthy benefits of exercise. So I tried yoga but it was more here and there as quite honestly it was hard to slow down to that level. Focusing on breathing and poses was hard for someone hyper like me. While in the midst of yoga I'd be thinking about all I could be doing or things that needed to get accomplished. Now looking back also think it was because I had not found the right yoga program for me. Some how while flipping through tv came across a beginner yoga that I really enjoyed. Unfortunately started having dizziness issues around the same time which became more aggravated by that particular yoga program. Truth is not all programs or poses are ideal for everyone. I felt bummed because at that point I was really starting to enjoy yoga. It took me awhile and a lot of research but found a program that I was able to work around the dizziness with. And it even incorporates a little bit of meditation, which is something else I needed to learn and incorporate as well. I've been doing Hatha and Flow Yoga for beginners by Tamal Dodge for over a year now, and can honestly say I don't know what I would do without it. While I committed to do it three times a week, also find myself wanting to do it more. Of course there are days where I don't always feel like doing it, but I do it anyway. It really has made a difference both mentally and physically. In many aspects I do find it centers me. 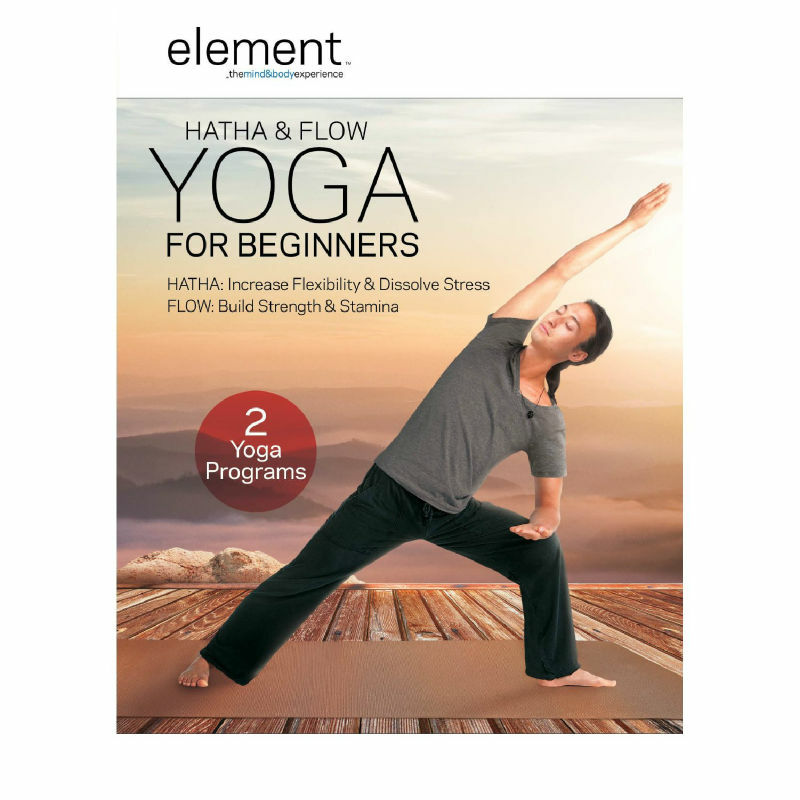 The Hatha and Flow Yoga for beginners contains two programs. Hatha for increase flexibility and dissolving of stress. Flow for building strength and stamina. Both are 30 minutes in duration making it easier to fit into a daily schedule. Tamal Dodge is an excellent instructor, he even has his own site www.tamalyoga.com . I purchased the dvd from Amazon for $14 and it has been well worth it. While I love this yoga program it may not be ideal for everyone. Highly suggest researching the various types of yoga, than finding a program based on one's body type, health and what you would like to get out of it. Yoga has so many styles, levels and programs that there is usually something perfectly suited for everyone some times it just takes a little patience and research until one finds it.